The UCL Liver Failure Group presented data from two studies with OCR-002 (L-ornithine phenylacetate) to the annual American Association for Liver Disease( AASLD) meeting in Boston that suggest the potential for this novel therapeutic agent to impact multiple aspects of liver disease and its complications. Ocera Therapeutics, Inc. of San Diego, California licensed exclusive, worldwide rights for the development and commercialisation of OCR-002 (L-ornithine phenylacetate) from UCLB in April 2009. UCLB initially supported the hepatic encephalopathy project with Proof of Concept funds and a strategic investment from its own investment funds to perform studies to support a clinical trial, authorisation to the UK Medicines and Healthcare products Regulatory Agency. A further £750,000 was awarded from an MRC Experimental Medicine grant to fund the investigator-led Phase I/IIa study. 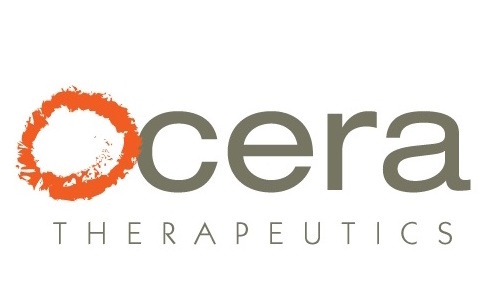 Ocera Therapeutics is now developing OCR-002 as a novel injectable medication for the treatment of Acute Liver Failure and Acute-on-Chronic Liver Disease also known as Acute Hepatic Encephalopathy. The data, presented at the 60th annual meeting of the American Association for the Study of Liver Diseases, is comprised of a set of studies evaluating the potential for OCR-002 treatment to reduce ammonia, down-regulate inflammation, lower oxidative stress and reduce portal hypertension in a preclinical model of cirrhosis. Treatment with OCR-002 resulted in a significant reduction in ammonia, normalisation of brain edema, reduction in inflammatory cytokines, and a normalisation of eNOS activity in both the brain and the liver of cirrhotic animals. These effects were associated with a significant reduction in portal pressure. These findings suggest a possible role for OCR-002 and ammonia reduction in the mitigation of portal hypertensive complications, including hepatic encephalopathy and variceal bleeding. “With OCR-002, for the first time, we are able to reduce circulating ammonia levels in a consistent and controlled way which gives us the ability to treat complications of liver disease as well as the ability to better understand the pathophysiology of liver disease and its complications,” stated Professor Rajiv Jalan M.D. at the Institute of Hepatology, UCL. This study exploring the role of ammonia on portal hypertension and nitric oxide signaling pathway involved close collaboration with the liver hemodynamics group at UCL led by Dr Raj Mookerjee. “OCR-002 demonstrates significant potential as a new treatment for liver disease, and addresses an area of significant unmet medical need that is growing at epidemic rates. We are very pleased to be involved in the development of OCR-002 in collaboration with our partners at UCL”, added Scott Harris, M.D. Ocera’s Chief Medical Officer. Ocera Therapeutics, based in San Diego, California, USA, is a privately held biopharmaceutical company focused on the development and commercialisation of proprietary compounds to treat acute and chronic liver diseases and a broad range of gastrointestinal disorders. In addition to OCR-002, Ocera is developing AST-120 in mild hepatic encephalopathy (Phase 2b), and irritable bowel syndrome. Ocera has raised $62 million dollars in venture financing from Domain Associates, Sofinnova Ventures, Thomas, McNerney & Partners, Montagu Newhall and InterWest Partners. Additional information on the company can be found at www.oceratherapeutics.com.